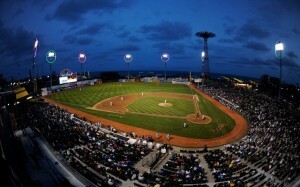 Come join the SOB this Fourth of July at MCU Park, the home of the Brooklyn Cyclones, for music and fireworks! Come on out for BROOKLYN’S own Fireworks show on JULY FOURTH!!! The Brooklyn Cyclones and the Alliance for Coney Island are teaming up to host an Independence Day celebration and fireworks show on Thursday, July 4 at MCU Park. The event will culminate with a tremendous Fourth of July fireworks extravaganza at 9 p.m., preceded by a performance from the String Orchestra of Brooklyn.